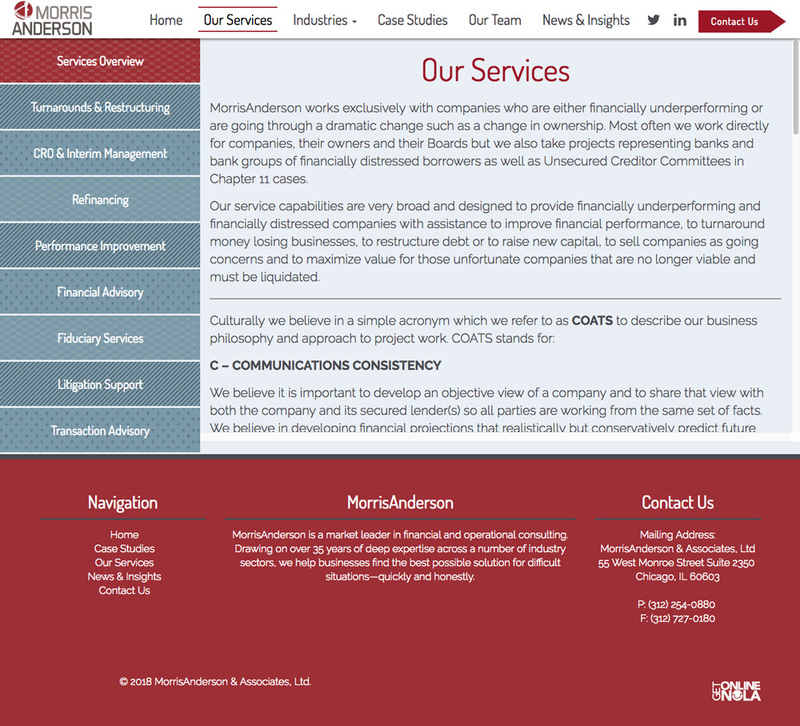 MorrisAnderson is a business consulting firm based in Chicago, Illinois. They help businesses in financial and operational crisis find the best solution to solve their problems. 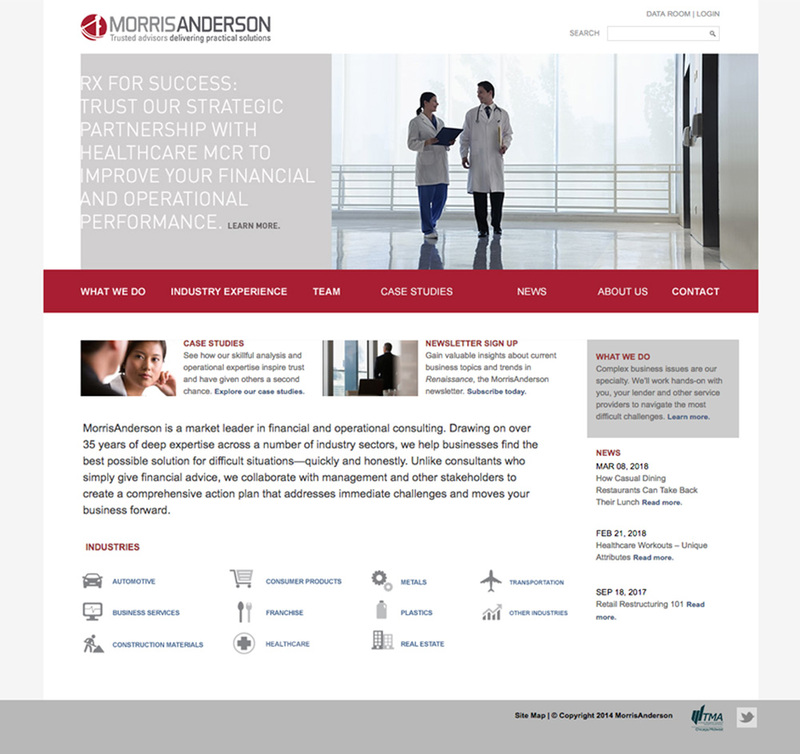 Before we started working with MorrisAnderson, their site was outdated and difficult for the staff to update. 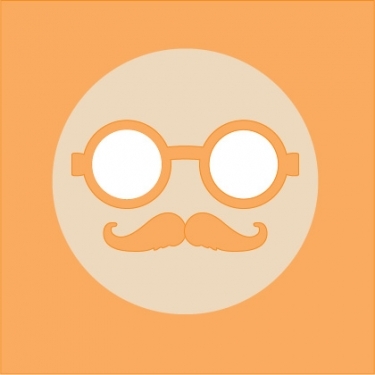 In a market focused on innovation and expediency, their website wasn’t doing them any favors. They needed a website that was easy to use both for the client and the staff, and a website that showed off their expertise in the industry. 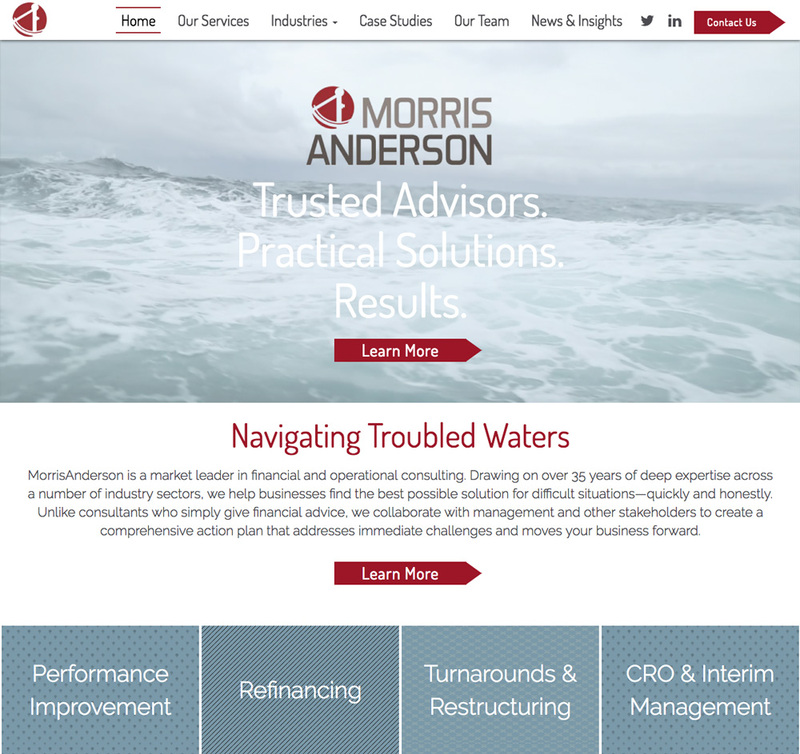 We built MorrisAnderson a fully custom website based on a detailed marketing strategy. 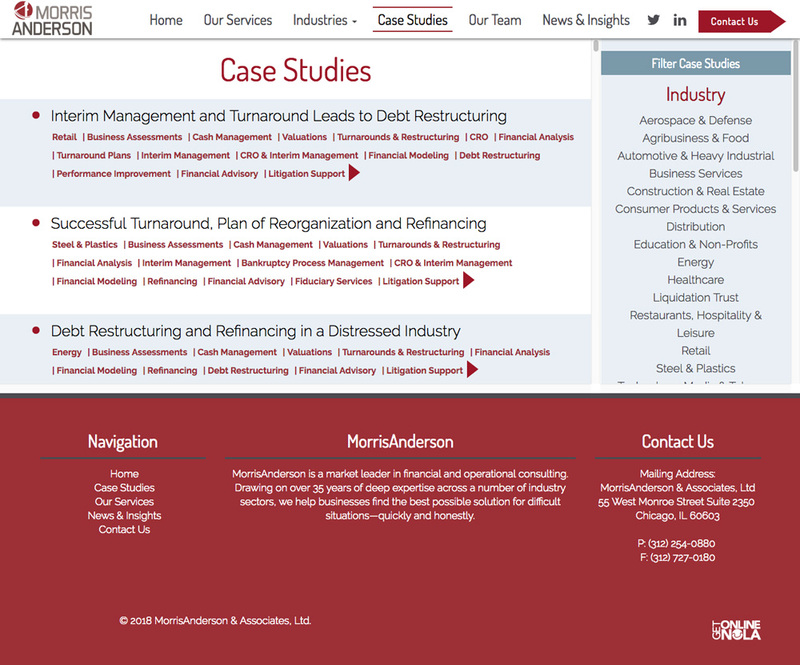 We worked with the MorrisAnderson staff to ensure we had a well-rounded idea of who their clients are, and their needs. 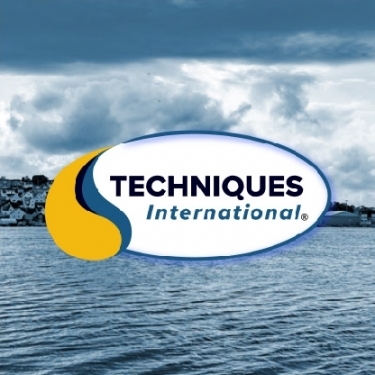 From this, we were able to ensure that their new website would cover every aspect that they would need in an intuitive way. This detailed and researched based approach helped us to achieve gold level placement at the AVA Digital Awards for this website. Most of the clients who come to MorrisAnderson’s website are highly stressed. Because of this, it was important to ensure that the website works flawlessly and is easy to navigate. We also kept this in mind with the aesthetic of the website. We kept the colors cool and calming with pops of the MorrisAnderson burgundy. To show off their over 30 years of expertise we designed the site so users naturally flow to their extensive library of case studies. 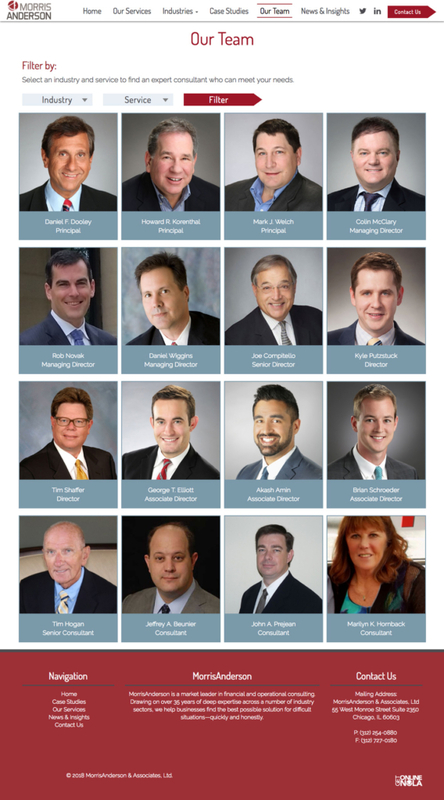 We included over 130 different case studies that presents their prowess in different fields and situations. We also included a staff filter so users can find the consultants who have relevant experience in their business sector.